I also admire people who, like me, feel wobbly and weary at times, but dig deep and scooch ahead bit by bit. There is beauty in moving forward, even if we don’t always see the loveliness in our detours and delays. 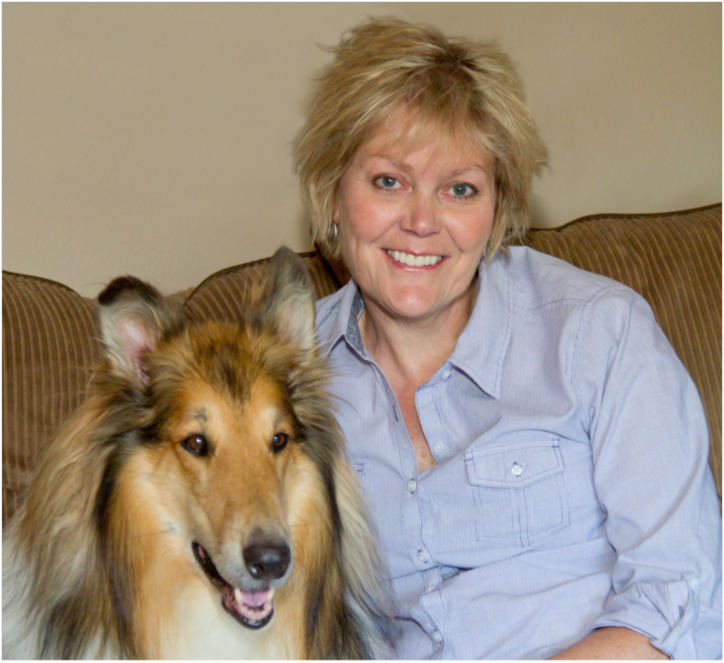 I am a full-time author and writer who lives along the front range of the Colorado Rockies and I enjoy hiking, biking, photography, movies, reading, throwing sticks to my doggie and just puttering in my yard. I also adore vibrant flowers, fresh fruit, hearty laughter and quirky news facts. Can you tell I like variety? So pour yourself some hot java (or chai, herbal tea or a power green smoothie) and come explore staying brave and resilient in our day-to-day adventures and slowdowns. Ahhh . . . I love the simplicity of savoring life with friends. Who Is Bodacious, Bubbly Beth? Just how small is your hometown? When I was growing up in our southeast Nebraska farming community, we hovered around 175 people. Today the population is more like 100—including dogs and cats. Yes, there are more people in line for the women’s bathroom at the game than in my entire hometown. What’s this about Beth being mistaken for Miss Universe? Oh that story! In 1994 I was in Manila, Philippines, researching a magazine story about a woman’s outreach to prostitutes and pimps. One rainy night while searching for prostitutes to interview, I was sitting in a taxi when a young Filipino man ran up to the car. The stranger kept tapping on the taxi window and shouting, “Meeee-zzzz Uni-verzzzze! Meeee-zzzz Uni-verzzzze! Meeee-zzzz Uni-verzzzze!” Apparently he saw my fair skin and blond hair and thought I was one of the contestants competing in the Miss Universe Pageant in Manila at the time. Oh the joys of fifteen seconds of fame! How do you pronounce Lueders? LEE-ders. Yep. Granted, it looks like you should say LOO-ders, but there’s a silent “u.” But don’t worry about offending me, I’m used to the last name quandary. Now only if Mr. Right would come along so I could marry and change that confusing last name. Or, there is always the pen name. Hmmmm. Why does Beth prefer decaf drinks? At coffee shops, my friends implore baristas, “Pl-E-E-E-E-E-se give her decaf. Beth is wired enough!” Or as one of friend’s 14-year-old daughter blurted out about me, “You know, you’re kind of hyper . . . just saying.” I prefer the descriptions: animated, lively, soulful, energetic and upbeat . . . just saying. Of course, you can add in kind, funny, beautiful and humble. You’ve written about tattoo artists. Do you wear some ink? Since the early 1990s I’ve interviewed hundreds of people in nearly 20 countries including gold-medal Olympians and tattoo artists. While I enjoyed some stellar moments playing volleyball, basketball and softball growing up, I’m no world-class athlete. Nor am I a tat-kind-of-gal. My version of sporting some ink is the ballpoint pen peace signs I drew on my hand in 5th grade math class. 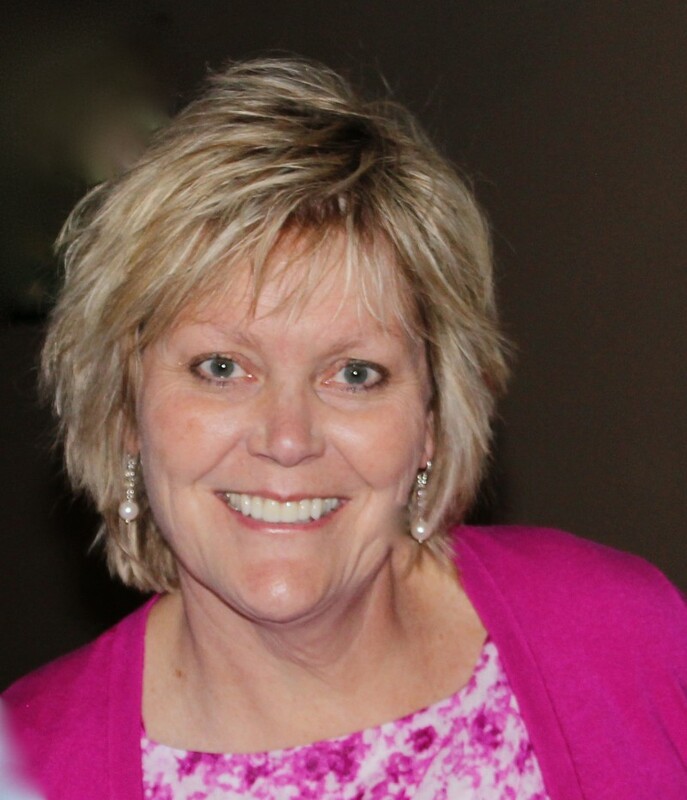 I am the founder and director of MacBeth Communications, a writing and editorial business in Colorado Springs, Colorado.I’ve honed my writing skills through hundreds of media projects—books, blogs, magazine articles, catalogs, newsletters, and much more. I’ve coauthored and edited several books including: The Women of Faith Study Bible, The Life Promises Bible, Celebrations of Faith, and Q & A with Point of Grace. 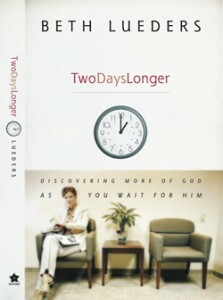 My first solo book, Two Days Longer, explores how waiting and everyday setbacks can lead us to know God more intimately. 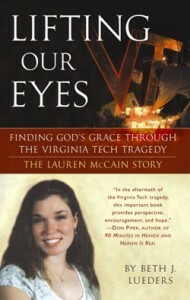 Lifting Our Eyes chronicles the gripping and tender accounts of survivors and witnesses to the 2007 Virginia Tech killing rampage. For more about my writing or to schedule speaking engagements, visit BethLueders.com. “I picked up Two Days Longer in a dry season of intense waiting over infertility and some other deeply painful family issues. What I found in its pages was far beyond the usual vaguely encouraging sound bites. I found an honest and courageous sister sharing from the depth of her experience and through a wide variety of others’ journeys. It wasn’t just a collection of my-story-is-sadder-than-your-story comparisons to make my situation feel better. It was an opportunity to open my eyes to who God is to each of us in all of our inevitable valleys and periods of uncertainty. I’m grateful to have found this approachable, gentle and joyful bookthat helped take my eyes off my daunting wait and put them where they should always be—on He who is beyond and in control of all time. Beth’s books and e-book editions are available through most major local and online bookstores including amazon.com, barnesandnoble.com, ChristianBooks.com or through the publishers, us.penguingroup.com and simonandschuster.com.